Intelligent vehicles of the future are that which, having a holistic (i.e. inside and outside the vehicle) perception and understanding of the driving environment, make it possible for passengers to go from point A to point B safely and in a timely manner. This may happen by way of providing active assistance for drivers, giving full control to automated cars or some combination of the two. No matter how, a holistic perception and understanding of inside and outside the vehicle is absolutely necessary, and vision based techniques are expected to play an increasing role in this holistic view. The question is, how well do proposed vision techniques work in order to be used in time and safety critical driving situations? Vision for intelligent vehicles & applications (VIVA) is a challenge set up to serve two major purposes. First is to provide the research community with a common pool of naturalistic driving data of videos from looking –inside and looking-outside the vehicle to present the issues and challenges from real-world driving scenarios. Second is to challenge the research community to highlight problems and deficiencies in current approaches and simultaneously, progress the development of future algorithms. There are benchmarking competitions and databases available for general vision problems, such as the KITTI Vision Benchmark Suite, which in comparison is the closest to VIVA due to data collected from driving. However, one of the major difference is, VIVA contains datasets and challenges from looking-inside, while KITTI does not. With a special focus on challenges from looking inside at the driver’s face (i.e. VIVA-Faces Challenge), the presentation will provide information on how the data is acquired, annotated and released; how methods are compared; and where, when and how to participate in the challenge. paper titled, “Head, Eye, and Hand Patterns for Driver Activity Recognition,” was one of the four finalists for the Best Industry Related Paper Award (BIRPA) at the International Conference on Pattern Recognition (ICPR), held in Stockholm, Sweden, in August of 2014. Another one of her works titled “Vision Challenges in Naturalistic Driving Videos,” was honored with the National Science Foundation travel award for presenting the work at The Future of Datasets in Vision Workshop held in conjunction with the IEEE Computer Vision and Pattern Recognition (CVPR) Conference in Boston, MA in June, 2015. She is actively getting involved in and contributing to the research community by serving in technical program committees for workshops (i.e. IV and CVPR), and organizing and co-chairing workshops (i.e. two years in a row of Vision for Intelligent Vehicles & Applications (VIVA) workshop at IV). Ms. Martin also enjoys teaching, which she has shown by serving as a teaching assistant for five classes (e.g. Introduction to Linear and Nonlinear Optimization, Elements of Machine Learning I, and Special Topics in Signal and Image Processing/Robotics and Control System) and more recently by mentoring one undergraduate and one graduate student to submit novel contributions as papers to the IEEE International Conference on Intelligent Transportation Systems (ITSC). Her interest in academic research started since her undergraduate years at Caltech, where Ms. Martin has participated in summer research programs (e.g. Summer Undergraduate Research Fellowship (SURF), NASA Space Grant) and internships (e.g. JPL, Synaptics) every summer. 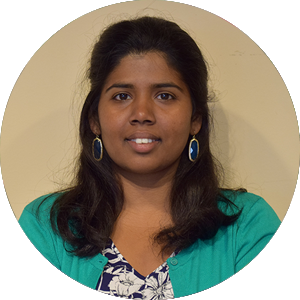 Her diverse research experience in topics from micro-fluidic chips to outer space to wireless communication to machine vision and robotics, reflects her interest in balancing the theoretical and practical aspects of research. Her Ph.D work in machine vision for intelligent vehicles has exposed her to a good mixture of where theory meets application. Her plans for the future include continuing in this line of research while looking for opportunities to think outside the box.